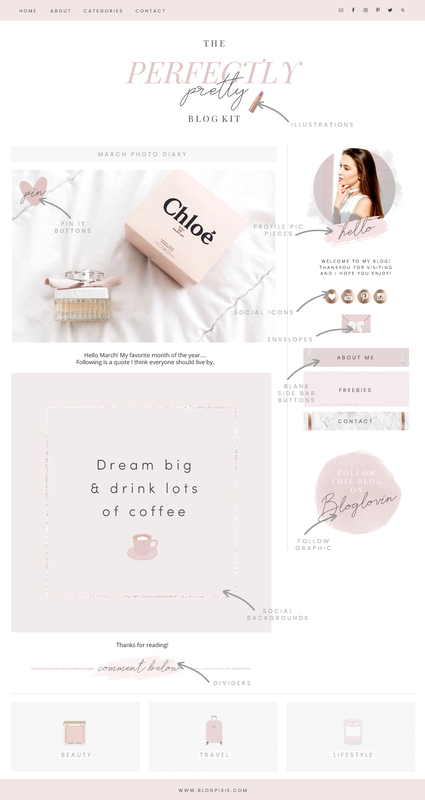 A pretty, feminine blog design kit with lots of graphics and illustrations to add creativity to your blog’s branding, photos and design. 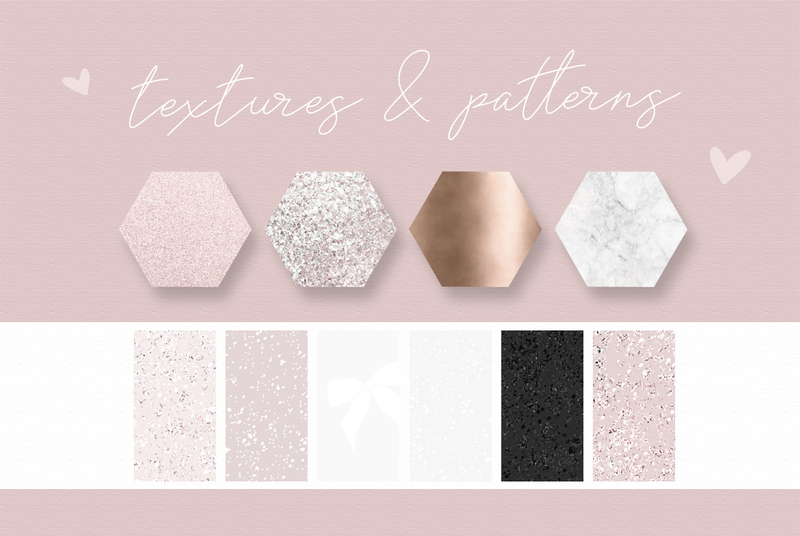 Shimmer and shine with metallic textures, watercolor strokes and design elements to put together your own unique space online where you can inspire and be creative. 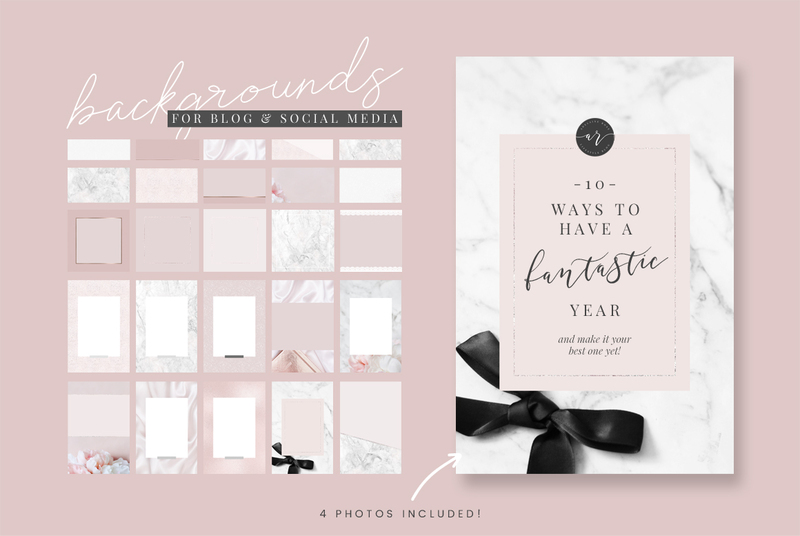 There are pretty bows and hearts, sweet illustrations, gorgeous blog and social media backgrounds, borders, dividers and more. Make your current blog theme extra special by adding images to the homepage and side bar, dressing up your About and Contact pages and adding pretty things to your blog posts and site banners. Use the illustrated elements to add personality to your Youtube or Facebook cover image, or as icons around your blog theme. Create stunning blog post images for Pinterest with styled photography, patterns, dividers and more. Due to the large file download, when you purchase this listing you will receive a PDF document which will link you through to Dropbox where you can download all the files. Pre-made graphics are not for re-sale and not to be used as freebies/opt-ins. Please see the License page for more information. This is a graphics kit – all items are JPG and PNG image files, easy to upload to your blog or to use in editing programs such as Photoshop, Picmonkey or Canva. You will need to know how to add images to your blog or how to use the programs mentioned above in order to use the graphics. I just purchased it! OH MY WORD and it is stuuuunnning! I’m already loving it and I’ve only just started looking through it. When I first set out to create my blog, I knew “the look” I was going for, but had a hard time creating the design elements myself, as I am not an illustrator. 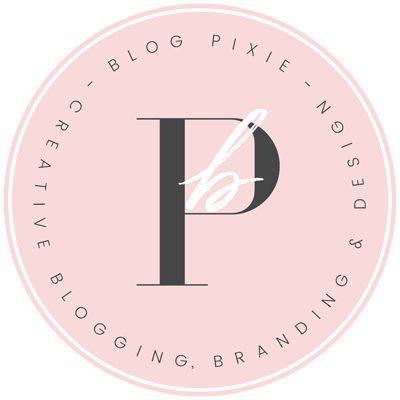 In comes Blog Pixie with these beautiful graphics! 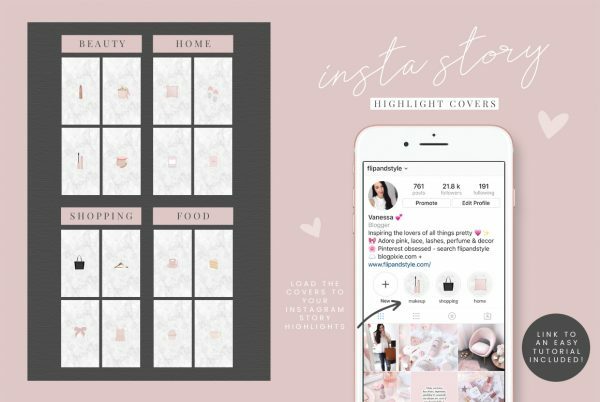 I honestly use at least one thing every time I post on my blog, create a new page, or post on social media. 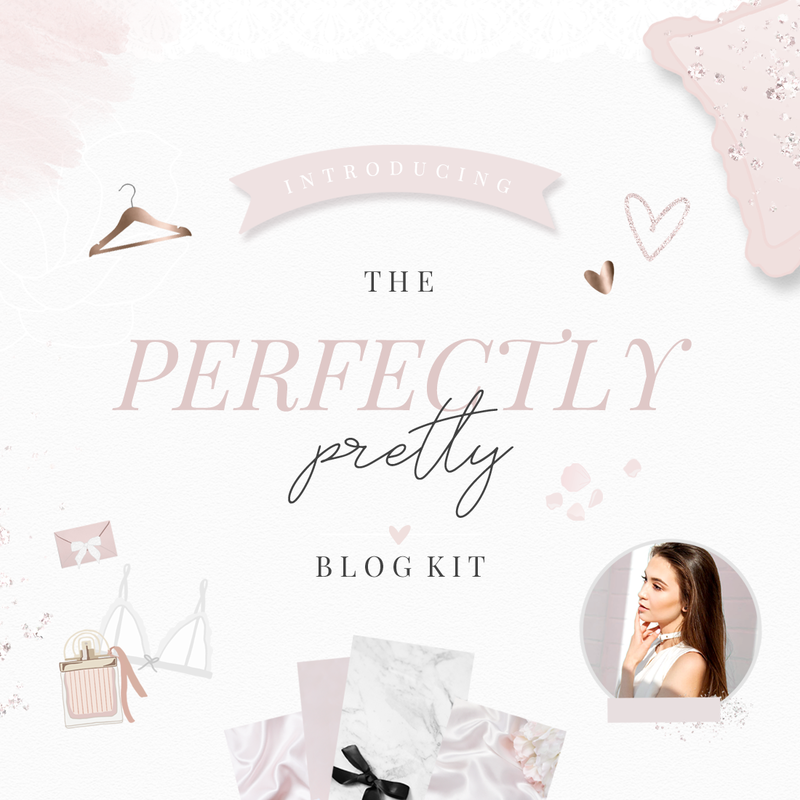 I love this kit and it’s a must-have if your blog/channel is Beauty/Fashion related.